For the longest time our gluten-free family found solace in Mexican restaurants when going out to eat. Remarkably, our favorite place in town would feed our family of five on one large chicken fajita platter. The free chips and salsa really do a bang-up job as an appetizer for my crew. We carried-on the Saturday night fajita plate tradition for years until we determined that our Celiac son was also allergic to corn. Without corn and wheat and dairy, dining at Mexican restaurants has become slightly less appealing. Since then we've been making plenty of wonderful Mexican dishes at home sans the corn. However, one of my favorite things about Mexican restaurants is the mouth-watering fresh salsa. I could make a meal of it alone. Bound and determined to find a store bought salsa that brings as much joy as the restaurant varieties I came across Green Mountain Gringo brand salsa. 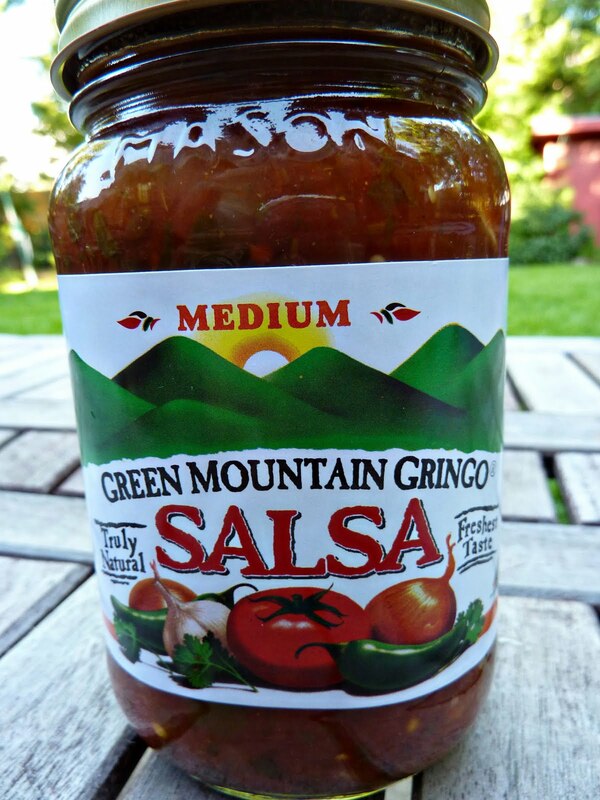 Green Mountain Gringo offers everything I love about homemade salsa but easy to grab off the shelves when in a rush. Fresh flavor, perfectly blended spices and five heat levels that are kind to my palate. The chunky texture of this salsa is lovely for pouring over the top of tacos and burrito bowls. And the complexity of flavors will keep you coming back with your chip or cucumber or whatever you use to dip. Long live restaurant quality Mexican food at home! Word up—This is not a paid advertisement. I like salsa. I like Green Mountain Gringo. 'Nuf said.